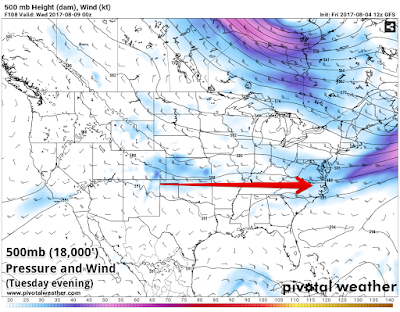 MWN Blog: Beat the heat with a cool (but rainy) August! A cool first half of August looks to be in the offing, but the only way we get that is with more clouds and rainfall than normal. Hopefully you're ready for the trade-off! Temperatures the past several days have averaged a bit below the normal of 92°. As we head into the weekend, another cold front today kept temperatures at bay once again (though dewpoints are still well into the muggy range). We'll be on the "cool" side of the front tomorrow with what should be a pleasant day as the sun returns and the mugginess also falls, albeit briefly. Temperatures will drop into the 60s tonight for all and top out in the mid to upper 80s Saturday. By Sunday though, the front returns north as a warm front, putting us back in the muggy sector. Meanwhile, the first in a series of upper level waves moves in from the west, bringing high chances of rain and some thunderstorms, perhaps a few marginally strong, by afternoon and evening. 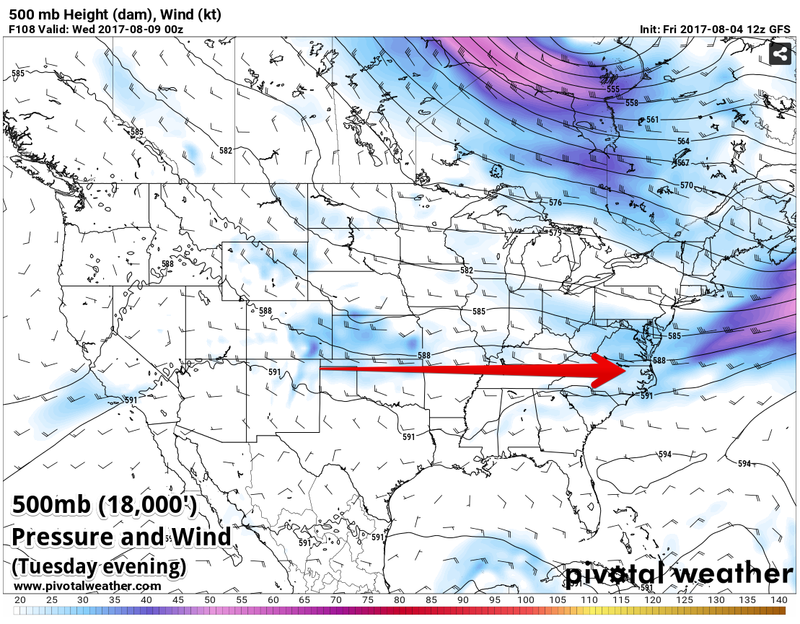 With the front more or less stalled out across the region next week, a gravy train of upper level disturbances will move through on "zonal flow" (meaning that the upper level patter is fairly uniform from west to east). Waves of rain and storms will affect the region throughout next week. In fact, in the 7-day forecast, I don't have rain chances below 40% on any day after tomorrow. It's still too early to determine when the heaviest or strongest storms might be (and a few could potentially be strong), or even when the dry periods will be next week. But for now, it looks wet from sometime Sunday afternoon through at least sometime Monday. After that, models don't agree on the exact positioning of the front each day next week, which will be the main factor in the rain and storm chances each day. For now, plan on highs remaining in the 80s (probably no warmer than mid 80s), lows in the lower half of the 70s, and mugginess and daily rain chances remaining a factor. Not necessarily the best forecast for everyone that is gearing up to send kids back to school! Looking past this week, the week 2 outlook from NOAA indicates a likely continuation of the cool, wet pattern into mid-August. Let's hope that the pattern breaks in time for the solar eclipse on August 21. Clouds are definitely NOT something we want that day! For the period August 11-17, the trend is for above average precipitation according to NOAA. For the period August 11-17, the trend continues for below average temperatures, according to NOAA. Good luck this year to all the teachers, staff, students, and parents who are in the throes of new routines this coming week! 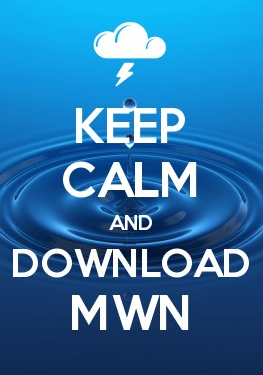 Be sure to check out the MWN app each morning to see whether you'll want to send an umbrella or other rain gear with the kiddos!